Which came first the chicken or the egg? In sports, which comes first confidence or optimal performance? Many hockey players are waiting for that breakthrough game to help gain confidence for future games. But how can you have a breakthrough game when your confidence is low? Many hockey players wait for that game-tying goal, defensive stop, or making a couple of assists to boost their confidence. Leaving confidence to chance is not the best method to build confidence. Confidence requires you to be proactive. Preparation is a great way to grow your confidence. 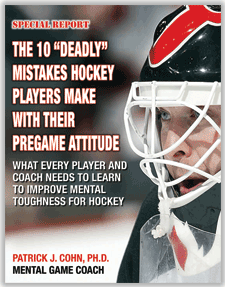 Preparing is a proactive step that puts you in position to make great plays on the ice. But there is a caveat… If you want improve your confidence, you must improve your preparation. That means what you have done in the past has gotten you to where you are now. If you want to go higher, you need to improve your confidence by paying attention to the little things in your game. 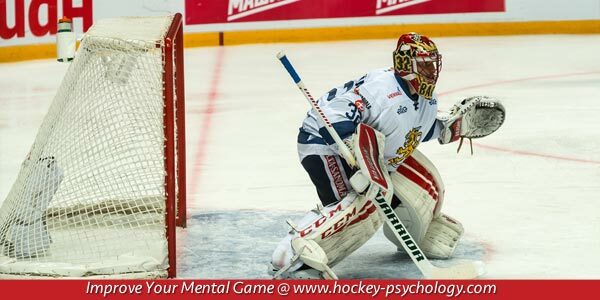 The little things (moving without the puck, following your shot, skating hard every shift and fighting for loose pucks) can build your overall game and boost your confidence resulting in better game performance. Making the little things count requires a commitment to being disciplined in practice. Making the little things count is a mindset focused on preparing your entire game. This gives you positive momentum to perform your best during games. Rookie left-winger Frank Vatrano has made a positive impression on Boston Bruin head coach Claude Julien by paying attention to the details of his game. Vatrano was undrafted and started the 2015-16 season with the Providence Bruins of the AHL but was an early season recall by the Boston Bruins. And the little things have reaped great benefits for Vatrano earning 13 minutes of ice time through his first two NHL games and scoring his first NHL goals against long-time rivals, the Montreal Canadiens. Coach Julien has noticed how the little things have added to Vatrano’s confidence and performance on the ice. Don’t be content with wait and see approach. Identify 1-2 little things you can do in practice to improve your confidence and take your game to the next level. Remember, you need to commit to making these 1-2 things count, so determine how you will work on them in practice. Remind yourself prior to each practice of the “little things” and stay focused on their execution especially when you get tired in practice. Making the little things count can take your game from good to great. Improve your Confidence and overcome self-doubt with one-on-one mental coaching with Dr. Cohn!